White Collar, "Dentist of Detroit": The Sting redux? Quick Take: White Collar, "Dentist of Detroit"
A Mozzie origin story and a modern retelling of The Sting do not mesh well. 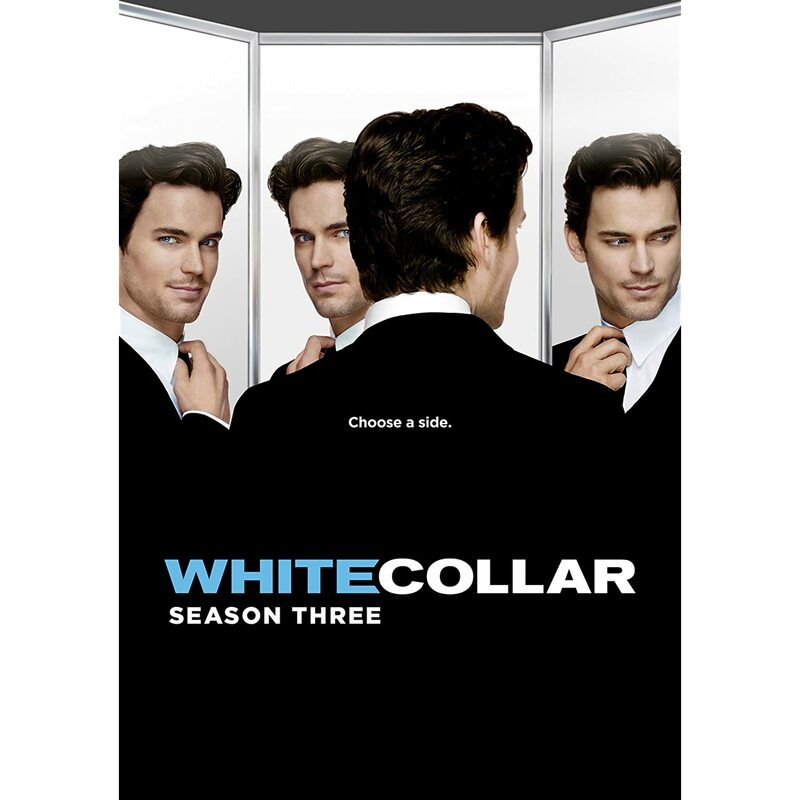 Review: White Collar, "Dentist of Detroit"
(S0306) USA's White Collar certainly has a similar feel to the Paul Newman/Robert Redford classic, The Sting, Best Picture winner of 1973. Newman and Redford's con men characters coalesce into one Neal Caffrey. Neal, Peter, and the gang often use cons to catch criminals, and most of all both White Collar and The Sting have a sort of laid back, loose feel that relies mostly on the chemistry and charm of their respective leads. White Collar is a fine show, and The Sting is a great movie, but White Collar's most recently episode, "Dentist of Detroit," admittedly dipped into The Sting's playbook big time and unfortunately didn't come up with quite as successful results. The episode is also sort of a Mozzie origin story. Once upon a time, he was merely Neal's wily and eccentric partner in crime. However, he has become more and more a central part of the show, and this once mysterious character got some (fairly needless) back story that at least set up the plot of the episode, but also seemed concerned with trying to make Mozzie more likeable. It turns out once upon a time that Mozzie was an orphan in Detroit, who was brought in by a Mr. Jeffries who ran a sort of orphanage. Mr. Jeffries helped shape Mozzie into the hyperliterate man he is today, but after running away from his foster home at the age of 12 he found himself hustling. He also managed to con a Detroit mob boss out of half a million dollars, under the titular guise of The Dentist of Detroit, and now his son is out for revenge, and Mr. Jeffries might be in the crosshairs as well. So now Peter and Neal are trying to keep Mozzie safe while at the same time attempting to nail the Detroit mobster, and this is where The Sting comes into play. Peter is in the Newman role, while Caffrey becomes Redford. Their plan is to con another mobster, a New Yorker named O'Leary, for the Detroit mobster, and then nail him for his part in the plot. In order to do so, they pull the same ruse they use in The Sting, with horse races on time delay and what have you. It's a good thing O'Leary never saw that movie or apparently heard of it. Otherwise they may have had to Paper Moon him, and I don't know if Caffrey can pull off a Tatum O'Neal. However, things get iffy when Mozzie escapes FBI custody to try and help Peter and Neal. He confronts the Detroit mobster and tells him to just to walk away and end things. However, he doesn't and ends up getting arrested. Mr. Jeffries then shows up and gives us the origin of Mozzie's name -- a childhood mispronunciation of Mozart, the name of his teddy bear. Also, there is some talk of Neal's attachment to Peter and his reticence to leave this life and what have you, which is I think a mandated talking point for every White Collar episode. Oh, and Mr. Jeffries was played by Ernie Hudson (Winston from Ghostbusters), but was only on screen for like a minute. Kind of a head scratcher as such. This was probably the weakest episode of the season so far. The con from The Sting is very enjoyable to watch unfold in the movie, but seeing it warmed over in a modern TV show just doesn't cut it. They've done some clever cons on the show, but this one sort of felt phoned in, seeing as how it wasn't even all that original. The fact that Mozzie conned the Detroit mob out of $500,000 as a little kid was a funny reveal, and there definitely could have been an interesting story there but it mostly fell flat. White Collar often fails when they try and ratchet up the sentiment. Only Tim DeKay as Peter really has the acting chops to pull it off, and the writing tends to feel clunkier in these moments. As such, a lot of the stuff from Mozzie's youth didn't quite work. Nevertheless, this was still a solid, enjoyable episode. Mozzie's antics were amusing as he annoyed Jones and Diane as they kept an eye on him. Mozzie's escape from his safe house was a bit silly and arch, but funny. Neal and Peter always are fun to watch together. All the usual good character stuff and generally playful tone were there. The interesting stories were just missing. It's hard to believe that a show would pull a stunt so close to a film classic like The Sting and not even name check it self-consciously. That has to be at least slightly insulting to its audience, doesn't it? In any event, fantastic breakdown of all of the above Chris and welcome to TVGA ! Pretty sure they did mention The Sting. And if not explicitly mentioning the movie by name, they definitely mentioned Peter and Neal's Newman/Redford roles (at the Burke house after they'd gotten all tuxed up). The Sting was referenced numerous times in the episode, Eric. I loved Mozzie's antics in the safe-house. It occured to me, during the scene with he and Ellie and the muffins, that Mozzie only really acts out and cranks up the irritating mannerisms in response to people he doesn't fully trust. It's one of the more nuanced character traits in the show and does more to tell us who Mozzie is than the amuzing, but cheese-tastic flashback. I also really enjoyed the "argument" between Peter and Neal. I thought it was clever that the fake grievances that they aired were honestly, kind've truthful if you look at where they are right now.